It’s a great question because hiking at high altitude affects different people in different ways. And each trip I have learnt a bit more about how my body copes with trekking to some crazy high points around the world. 1 When Does Altitude Sickness Occur? My first high altitude trip was hiking the Inca Trail in Peru over ‘Dead Woman’s Pass’ at 4,200m (13,780ft). I have also summited Mount Kinabalu, Malaysia, Morocco’s Mount Toubkal and in December 2017 I completed the Annapurna Circuit, Nepal. 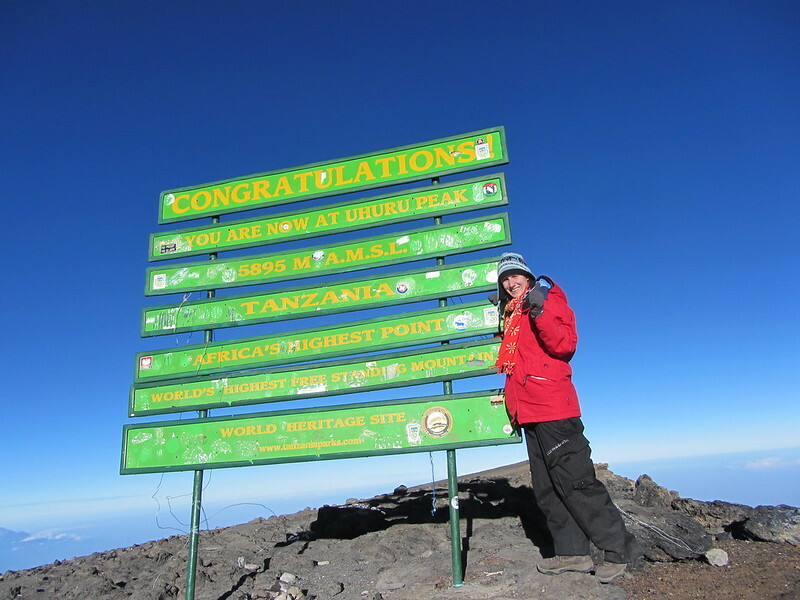 But my greatest high altitude achievement was summitting Mount Kilimanjaro, Africa’s highest mountain at a massive 5,895m (19,340ft). At the beginning of the trip, I didn’t suffer from altitude sickness. But on the way to the summit, I had a headache and felt sick. This resulted in finding a big rock to throw up behind half way up. To be honest, afterwards I felt better and it didn’t stop me from smiling when I reached the top! But if I had known some tips for preventing altitude sickness I’d like to think it would have been a more enjoyable hike! When Does Altitude Sickness Occur? Before I talk about preventing altitude sickness, let me first explain what is classed as high altitude? And just to give you an idea the highest mountain in the world, Mount Everest in the Himalayas is a staggering 8,848m (29,035ft). Who wants to climb that? Well, not me, its way to high and far too expensive. Here are my top tips for preventing altitude sickness. But if you want to know more about how altitude can affect you then keep reading to hear stories from fellow hikers. Drink plenty of water. Keep hydrated. (No alcohol or caffeine). Take paracetamol (or equivalent) for mild headaches. Loss of appetite may occur but remember to keep energy levels up by eating regularly. Spend extra time (where possible) acclimatising so your body adjusts to the height. Try local remedies – (Coca tea in Peru, hot chocolate in Hawaii and Sea buckthorn juice in Nepal). Less oxygen can cause a sore throat so pack some cough sweets. Trust your instincts and keep your guide informed. Never risk your health. Because altitude sickness, (known as acute mountain sickness – AMS) affects everyone differently I have spoken to some adventurous travel bloggers about their experiences. Read about their epic adventures, how high altitude affected them. And some great tips for preventing altitude sickness to conquer their challenges around the world. One of the most difficult things I have ever accomplished was summiting the 5,897m (19,347ft) high Cotopaxi – an active volcano in Ecuador. It’s the second highest summit in the country and home to one of the few equatorial glaciers in the world. And it’s also notorious for hikers to suffer severe altitude sickness on the trek with less than 50% of those who try actually making it to the top. The hike takes a day and a half, with the majority of the expedition occurring through the night when the snow and ice are most stable. I suffered from a major headache, lack of appetite and felt out of breath the entire journey. Each step was a shuffle as I put one crampon-covered boot in front of the other through the snow in the dark. I experienced an avalanche less than 100 metres away while climbing and watched another volcano erupt while at the summit just after sunrise. It took a lot of mental determination and physical tenacity to complete the trek but I’m proud to say I was able to battle past altitude sickness to achieve a personal goal. The trick for preventing altitude sickness was to keep going, not stop in the cold and to force myself to eat. When booking a trip to Hawaii, it is a must to visit “The Big Island”. There are amazing views from the top of the infamous Mauna Kea mountain. Home to the world’s largest astronomical observatory and more than a dozen industrial telescopes. At an incredible 4,205m (13,798ft), Mauna Kea may not have the highest summit but it’s actually the tallest mountain in the world. There is another 6,400m (19,700ft) worth of mountain below sea level! Based on my experiences, it’s really quite difficult to avoid altitude sickness completely. Certainly, at 3,962m (13,000ft) up Mauna Kea mountain, altitude sickness can take a hold of you very quickly. One member of our tour couldn’t make it past the visitor centre at 2,743m (9,000ft) as his altitude sickness was so bad. For me, the sickness was nothing more than feeling a little queasy, but others can experience really bad headaches and shortness of breath. My top tips to help prevent the feeling of altitude sickness when visiting Mauna Kea would be to acclimatise yourself at the visitor centre before venturing on to the summit. The best way to do that is to take a short walk and stay at this height for at least 1 hour, before returning down. I also find that you can speed up your acclimatisation by drinking hot chocolate – I have no idea what’s inside cocoa but trust me, it really works! “Nepal is like my second home country, I spent two years there as an expat. I love the mountains so my choice to live and work in Nepal was obvious. Whenever I had a holiday I went trekking in the mountains and I learned how unpredictable the effects of altitude can be. In Langtang, when I walked for three days to Kyanjin Gompa at 3800m (12,468ft) I had no problems at all. But in the Annapurna’s the altitude sickness always hits me with a slight headache. Last November, I went back as a tourist to Nepal to the Everest region. I was curious to know how the altitude would affect me there. To give my body enough time I walked in from Jiri and included enough acclimatisation days. The problems started in Tengboche where I developed the famous Kumbu cough. After witnessing the Mani Rimdu festival we headed up to the Gokyo lakes, situated 4,700–5,000m (15,420–16,400ft). The higher we got, the drier the air and my cough only got worse until I sounded like a seal. “Before starting our trek to Machu Picchu, I knew altitude would be an issue for me. The highest point on the trek was 4,300m (14,108ft)! I had experienced altitude sickness before in Colorado, I knew what to expect and arranged medicine from my doctor in advance so was feeling good about the trek. However, we only took small packs on the trek and left our big bags at the hotel we were staying at. This meant leaving some things behind. I accidentally had put my medicine for altitude sickness in my big pack so left for Machu Picchu without it. As soon as I realised, at first it made me really worried – I needed it! Then I remembered all the research I had done about altitude sickness. I took some Advil, bought an extra bottle of water and had a lot of coca leaf tea. Coca leaves are loved by the Peruvians. They can be chewed or made into a tea. And are the preferred remedy for preventing altitude sickness in the Andes. I took frequent breaks and went slow when I felt I needed to. By the second day, I forgot that I didn’t bring my medicine and felt just fine! My biggest piece of advice to prevent altitude sickness is to listen to what your body is telling you and use as many remedies as you can. If you think you need to slow down, slow down. Don’t wait until you start to feel bad to tell someone there is a problem – be proactive and it will be fine! Follow more of Meghan’s adventures on Facebook. 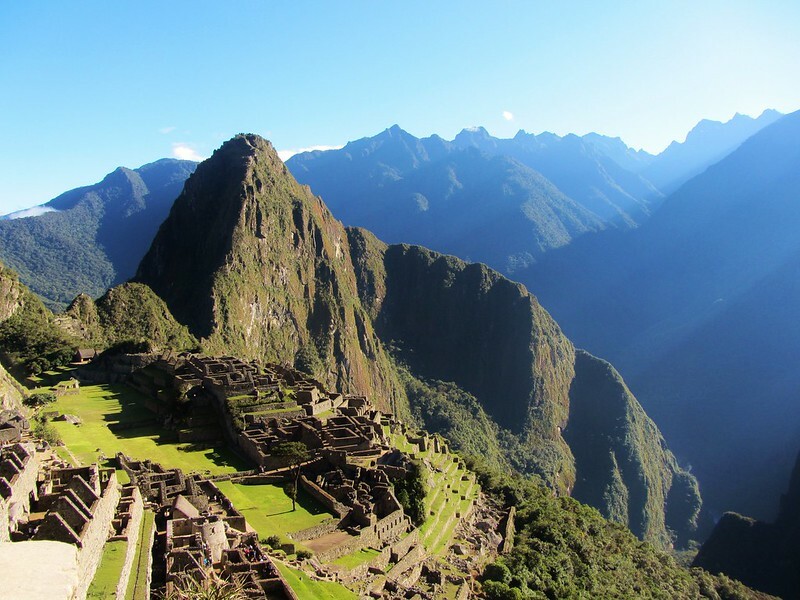 Another trek that you can do to reach Machu Picchu is the Salkantay Trek which you can read about here. Mount Fuji at 3,776m (12,389ft) is a quick hike in regards to high altitude trekking. It means taking altitude sickness precautions are much more critical. Most of the guides say that the ascent will take 5-7 hours and the descent around 3-5 hours. When I was looking at these numbers I naïvely thought that this hike was going to be easy and it really wasn’t. The ascent took us about 9 hours and the descent took us about 4 hours. It is a steep climb and I would recommend taking the time to get acclimatised and to enjoy the hike. You can sleep at the 5th station before hiking or you can stay the night at a mountain hut along the trail. We trekked through the night along with the thousands of other hikers, in order to see the 4 am sunrise from the top. However, if I was to do the hike again I would choose to hike it during the day to take advantage of the beautiful views. Having a good night’s rest on the mountain makes all the difference when acclimatising. I would also recommend bringing a decent amount of water and snacks or at least bringing a good amount of yen to pay for some along the way. What a great post. If I am honest, I am not much of a trekker but this is so helpful. I would like to do Kilimanjaro. Looks so cool!! You inspire me!! I think all of these ladies are pretty badass for accomplishing this and pushing through the struggle and altitude sickness! Ah thanks Miranda that’s a lovely thing to say. I have to admit any sort of challenge gives me a buzz, the harder the better ha ha!! These hikes look so amazing!! And thanks for the tips, this is stuff I rarely remember in advance so it’s good to know before you go! Hi, I also had a altitude sickness when I climbed to Mt Fuji. It’s terriable. But I took lots of mental determination like you ans climbed to the top like you! Yeah it’s a bit of a pain isn’t it!! I guess as long as listen to your body and don’t push it beyond your limits then that’s fine. Trekking to Kilimanjaro summit is definitely the hardest thing I have ever done and it was pure mental attitude that got me to the top! Mt Fuji is on my list!! Good to know that you have done all these high altitude treks. Great !!!! I am not trekking kind 🙁 but reading about these always inspire me. I didn’t trek but I spent 10 days in India’s Ladakh region area and traveled between 3200 to 5200 M. It was a great experience. Great tips! I’m hoping to do Nepal next year and will definitely take all your advice onboard, your travels look incredible! How your post brings back memories, but fortunately only good ones! We trekked to Everest Base Camp last November. One of the main concerns was indeed AMS. It is scary and people shouldn’t ignore such symptoms. We were really careful with it, we actually changed our itinerary and added extra days so we could rest. We drunk 4-5 litres of water every day, but that happened gradually. And every night we took paracetamol. We Also made sure we walked very slow. Trekking at high altitude is exciting and the views are superb, but there are serious and often fatal consequences. Ah I am so glad Telma, Nepal is beautiful, I do need to return to do Everest base camp too! It is definitely a worry that a lot of people have as the fact it can affect anyone, plus you do hear so stories where people had to be rescued via helicopter. I’ve never really been at any sort of altitude but have a couple of locations on my bucket list, so this is really useful to read. You only ever hear the absolute disaster stores, not the stories like this of people being moderately ill and how to handle it. Fabulous post! Ah thanks so much Jill, yes I totally agree, there are some scary stories so I think it really worries people. It’s just about being prepared and listening to your body. Where do you have on your bucket list? I know the pain. When I was in South America I was many times exposed to high altitude. Coca leaves helped me so much in Peru with the headaches and low energy! But nothing stopped the bathroom problems. I wish someone had warned me about that struggle before hand! Yes I ended up buying a box back in Cusco and have taken them on susequent hikes! I guess sometimes people don’t want to put you off by telling you some of the bad stuff but actually I would much rather know in advance then I can prepare! Thank you for such a detailed, resourceful post! This is all really helpful. I have never been above 5000m, so i have no idea how my body would react. I did climb mount Fuji, but we did it the slow way (sleeping at the 8th hut, then climbing to the top for the sunrise.) I think those extra few hours acclimatization made all the difference as none of us had any problems at all. Friends who climbed straight up through the night all seem to have worse experiences! !